Wow, 300 LEDs? Can't miss that! I'd love to get some RGB LEDs. I'm not sure I can find them with a controller small enough to mount on a plane, though. Cost is a bit prohibitive, too. I purchased 2 rolls of 300 (10 meters total) RGB led strips from e-bay recently and the controller is only .9" thick and 2" length and width 1.4"
Weight is about 10 grams max. What airframe is that? She looks awesome! I finally added the Nano Electronic Remote Switch to the Divinity. I rewired the plane so that the wingtips will be on only at launch and the remaining lights can be switched on after the launch to protect my night vision. 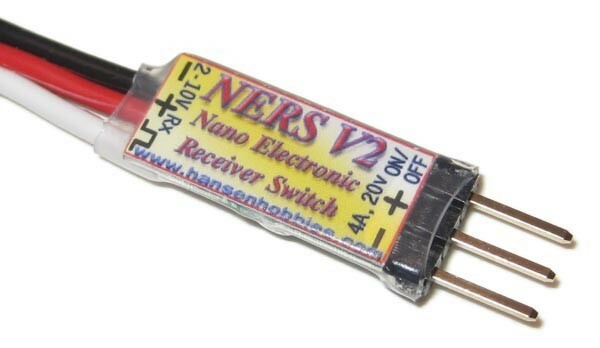 The Switch is from West Michigan Park Flyers http://www.wmparkflyers.com/ners-nano-electronic-receiver-switch-p-138.html and cost is around $12. It works great! I have a rcvr ctrl'd switch and I'm having troubnle making it work. It comes with a schematic that looks easy enough but I really wanted something that was plug and play. Is the switch you have pictured above plug and play or is there extra wiring, splicing, soldering, necessary?